The tale of a scholar who sold his soul to the devil has been inspiring European art for centuries. Today, the most famous reworking of the motif is considered to be the German legend based on Dr Johannes Faust, a historical figure from the early 16th century, whose life grew into a folk legend through German oral tradition, becoming the subject of countless retellings and interpretations. Milan Klemenčič adapted the Leipzig version of the puppet play and staged it in 1938 in his own Miniature Puppets Theatre. 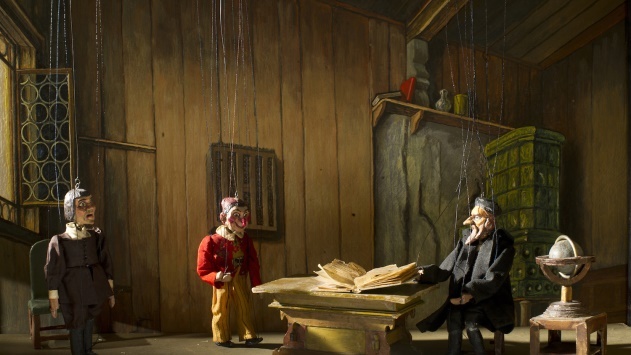 Get into the spirit of the great master and enjoy a puppetry masterpiece, which was revived by Ljubljana Puppet Theatre in 1982.